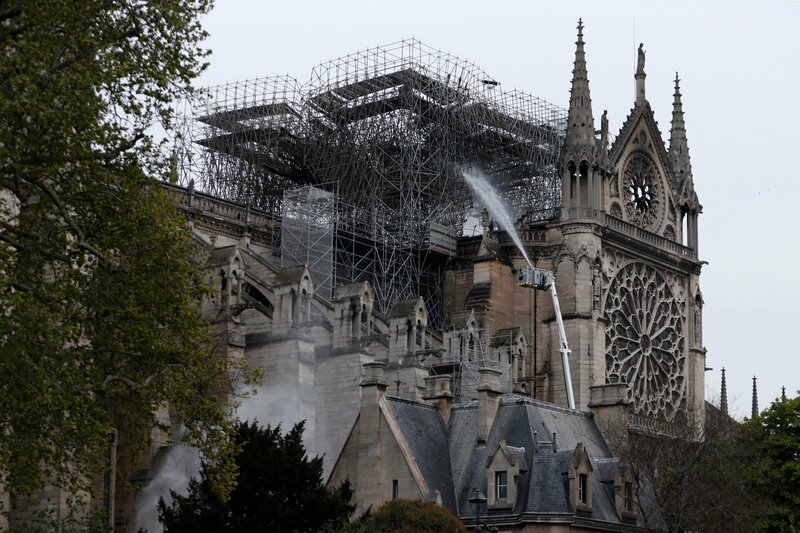 Firefighters were able to save the 850-year-old cathedral’s structure and iconic towers, but the blaze destroyed the building’s roof and collapsed its spire. “If this was arson this is going to be bad,” he said. “It might have just been started by a cigarette, we don’t know. But if this was started by Islamists, I don’t think you’ll find out about it, because I think it would set the entire country on fire. They’ve had killings, they’ve had mass shootings, they’ve had people running people down in the streets—the tension is very high,” he added. Chad Robichaux, a former MMA fighter and author, was also a guest on the The News & Why It Matters show. “I’m with you,” he said to Beck. Robichaux suggested the French authorities will not “want to deal with the consequences of bringing it up and bringing that to a head… I think it would be a slaughter in the streets.” Robichaux presented no evidence to support his claims.